One of Ludwig von Mises’ great contributions to modern thought was his proof of the inability of economic calculation under socialism. This core truth should be recalled as many leftists seek to restore communism’s cachet. Perhaps nothing more vividly illustrates the mental paralysis that socialism begets than the foreign trade practices of East Bloc regimes. In 1986, a Czech border guard stopped a Polish family leaving Czechoslovakia and ordered a Polish kid to take off his new Czech shoes “because taking children’s shoes out of the country is prohibited.” The Polish border guard watched passively – and then stopped a Czech car coming from Warsaw and ordered its new Polish tires stripped from the car, claiming that they had been illegally purchased in Poland. Western trade wars were love fests compared to East Bloc trade fights. COMECON – the Council for Mutual Economic Cooperation – was derided by East Europeans as the “council for mutual exchange of inefficiency.” COMECON was the foreign trade organization of a group of nations that instinctively hated foreign trade. Trade agreements among East Bloc countries were usually based on primitive barter arrangements – often simply on the gross poundage of objects to be traded – with no consideration or reward for quality. East European leaders distrusted foreign trade almost as much as some American congressmen do. Since each socialist government was obsessed with planning its own economy, each country tried on principle to minimize foreign influence. Trade as a percentage of GNP was far lower in eastern countries than in western countries. This distrust was justified because COMECON members were notorious for “slack delivery discipline,” as the latest socialist euphemism went. The Soviets ceased exporting their highest quality cotton to their Warsaw Pact allies and that in turn crippled Eastern Europe’s ability to export clothing to the West. The Soviets also provided electricity to its neighbors but the poor quality of Soviet electrical grids led to increasing number of blackouts and brownouts, causing serious harm to Hungarian industry. The usual socialist disregard of the consumer reached pathological extremes when the consumer was a foreigner – or at least a foreigner who is not paying with hard currency. It was extremely difficult to get spare parts for goods produced in other socialist countries. Hungary has had to import spare parts for its East German cars from Latin America. While in the West most countries strive for a trade surplus, in the East Bloc each country preferred to have a deficit – to import more than it exports. The interest rate on outstanding trade debts was only 2% – and there was not a whole lot you can do with surplus “Transferable Rubles,” except paper the walls and wipe off the floors. But, most countries were very careful not to achieve a surplus, so trade among the small East European countries was far more balanced than it is among western countries. Not only did countries try to balance trade with each other every year; they also aimed to strictly balance trade in each commodity group with each country each year. When Hungary invented the Rubik’s cube, many Russians would have loved to acquire the world’s most fashionable toy of the year. But, Hungary could not have increased its Cube exports to the Soviets without decreasing its toy piggy bank sales to the Soviets. So, it made little effort to satisfy Russian demand. The combination of widely-differing shortages and subsidies among socialist nations created a huge incentive for individual arbitrage. East Germany practically shut its borders to Poles and Romania refused to allow Poles to carry anything into Romania without making a deposit in western currency for each item. East German border guards routinely took away East German shoes from other socialist visitors leaving the country and Hungarian border guards were forever seizing salami from people leaving Hungary. On crackdown days, trains were sometimes stopped and torn apart – including ripping out the seams in suitcases. Romania was notorious for its day-long backups at the border. 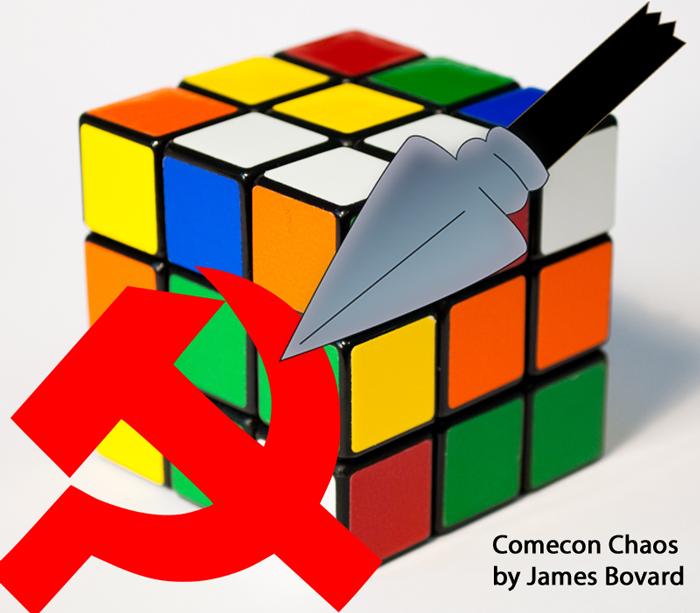 Though COMECON’s problems were obvious, they could not be solved without destroying COMECON. Free trade and socialism were as irreconcilable as politics and honesty. If currencies were made convertible then nobody’s national plan would be safe, because foreign individuals and businesses could come in and buy what they chose. 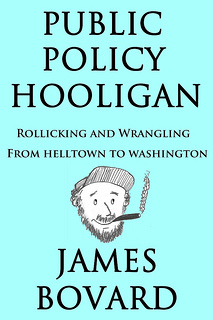 As long as governments are committed to central planning, foreign influences had to be minimized and strictly controlled. Von Mises warned in 1920: “Socialism is the abolition of rational economy.” Comecon’s antics were one of the most vivid proofs of the folly of foregoing price mechanisms. An earlier version of this piece was published in Wall Street Journal/Europe on January 25, 1987. +++ Thanks to Pixabay.com for the royalty free images used to make the header collage.